The Annual Awards Dinner and our Club Leaders Conference were very much the focus of the weekend for all at scottishathletics. But the performance never stop and, when the dust settled on events at various locations, there was another global medal for a Scottish athlete with ultra success for Joasia Zakrzewski at the World Trail Champs and a Scottish Record and British best performance by Para athlete, Sammi Kinghorn, in Jedburgh. On the club road running scene, Shettleston Harriers dominated their own Allan Scally Relays event. Here are a few more details . . . Team GB and NI were led home by Jo Meek in 7th place in a time of 10.36.12 with Beth Pascall one place behind in 10.41.35. Joasia Zakrzewski was Team GB’s third counter in 29th position 11.46.51. 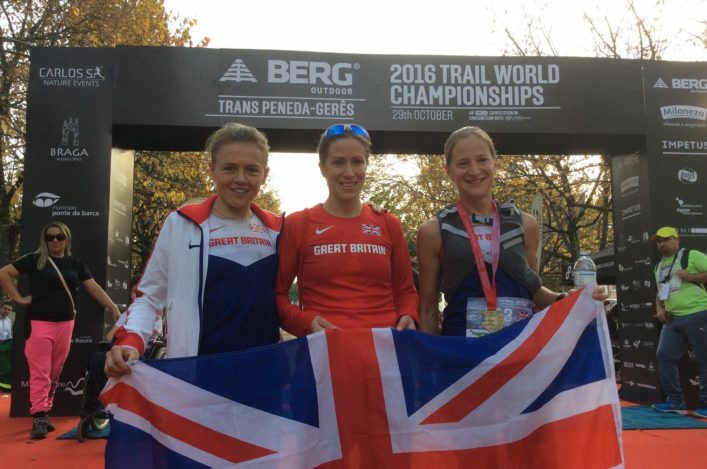 The doctor from Dumfries has won individual or team medals at 50k, 100k and trail running for GB. The GB men had mixed fortunes. Andy Symonds ran a superbly controlled race to place 9th with 9.00.40. He started steadily and slowly moved up the field. Tom Payn and Damian Hall, both winning their first vests, ran solidly to finish in 10.20 07 (43rd) and 10.59.39 (68th) respectively to finish a team placing of 11th. Both struggled a little as the temperature climbed into the mid-20s through the middle hours of the day. Tom Owens, who had hoped to figure well after his 4th place finish in 2016,struggled too in the heat and dropped out at the final checkpoint (44mls). Kim Collison after suffering a heavy fall and injuring his hip, and Donnie Campbell, with a foot issue were forced to retire also. Spain’s Louis Hernandez with 8.20.26 and France’s Caroline Chaverot 9.39.40, were crowned world champions, with the French packing impressively in depth to take both team titles. The Scottish Champs for Wheelchair Racing at 10K took place in Jedburgh on Sunday and there was a fine performance by Paralympian, Sammi Kinghorn. The Borders athlete took four minutes off her PB to get round in 22.00 minutes and set a new Scottish Record and British Best for the 10K distance. 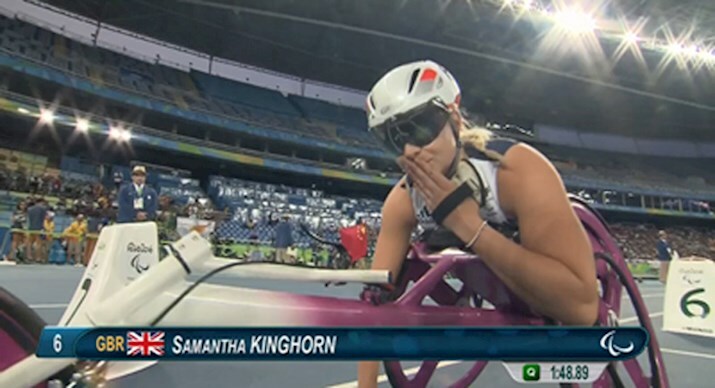 In fact, Sammi’s performance is the best by Scot – male or female – for Wheelchair 10K. Congratulations to Sammi, her family and her coach! 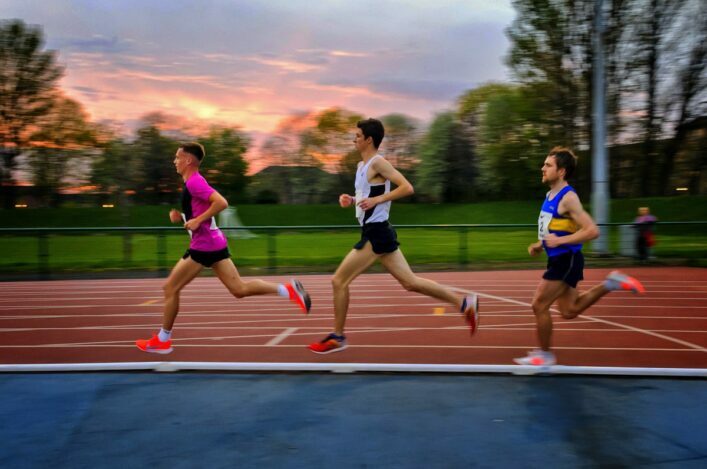 With weather conditions fine, 11 racers from all over the UK competed and there were 10 PBs recorded as well as that strong performance by Sammi. 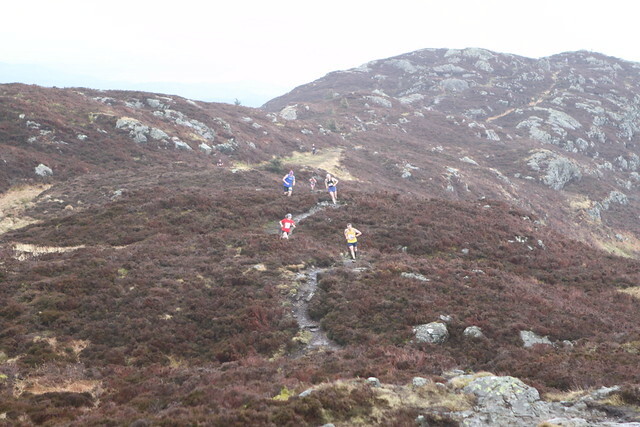 Simon Lawson won the Men’s race in 20.27 with Mark Telford the first Scot home in 22.03. Sean Frame was fifth in 24.35 (2nd Scot) and Kyle Brotherton was seventh in 28.36 (third Scot). Kinghorn won by two seconds from Jade Jones with Yasmin Somers in third. The race has been renamed in honour of its founder, Jed Renilson, who sadly passed away last year. Shettleston Harriers took the win at their own Allan Scally Road Relays – thanks to the efforts of Peter Avent, Paul Sorrie, Clement Elliot and Tewolde Mengisteab. The Glasgow race is now host to the Scottish Unis champs and the winners this year were Aberdeen University, with second place overall. Edinburgh Uni were third overall and took the silvers in the Uni Champs, with Glasgow University taking the bronzes. Shettleston made it a hat-trick by winning the Women’s race and the Men’s Masters race.